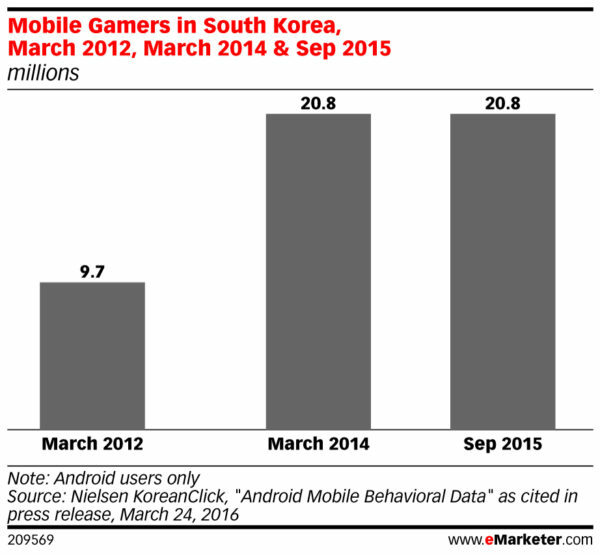 Updated Mar 2019: since this post is quite old, I have an updated post with 2019 data “8 key facts about South Korea Mobile Game Industry (update Mar 2019)“. Below is the original post back in 2016. 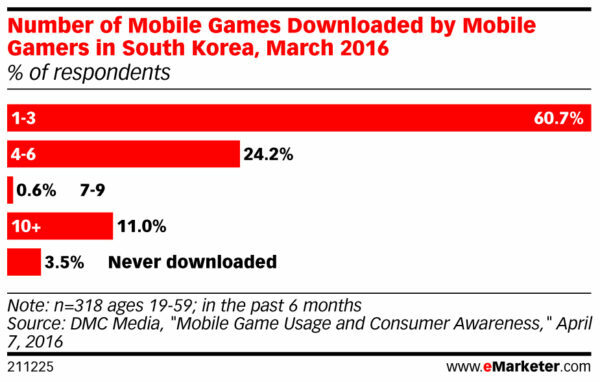 I have been curious about South Korea game industry for a while now so I am using eMarketer reports, App Annie and a few other sources to highlight the top 8 key facts about South Korea Mobile Game industry below. You could download the presentation via Google Drive here. 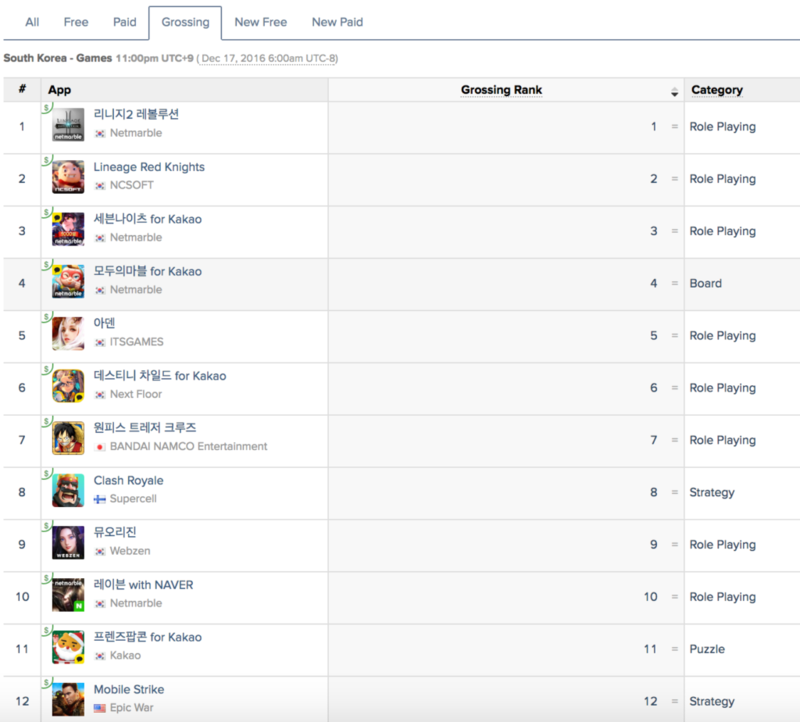 As you could see from the table above, there are no major differences between gender amongst South Korean mobile gamers. 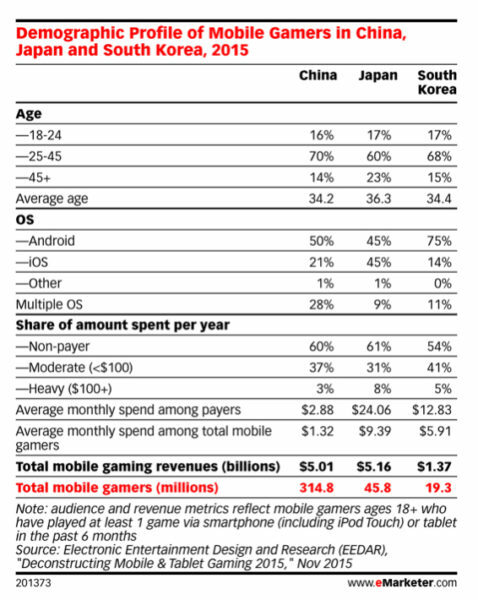 About 80% of mobile gamers play less than 60 mins per day, which suggests that they see this as a casual form of entertainment, rather serious professional players. 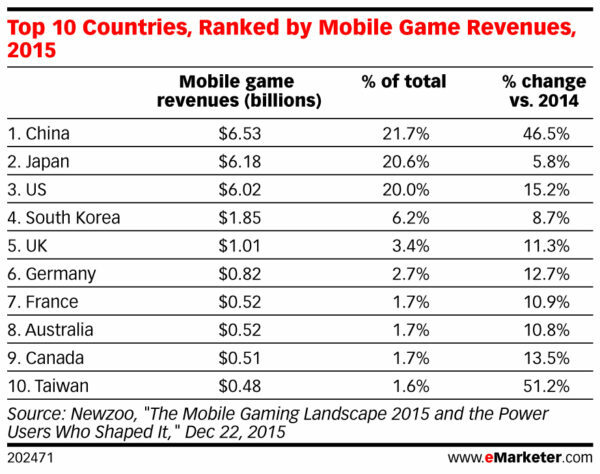 In comparison to time spent on TV, however, mobile game time is significant. 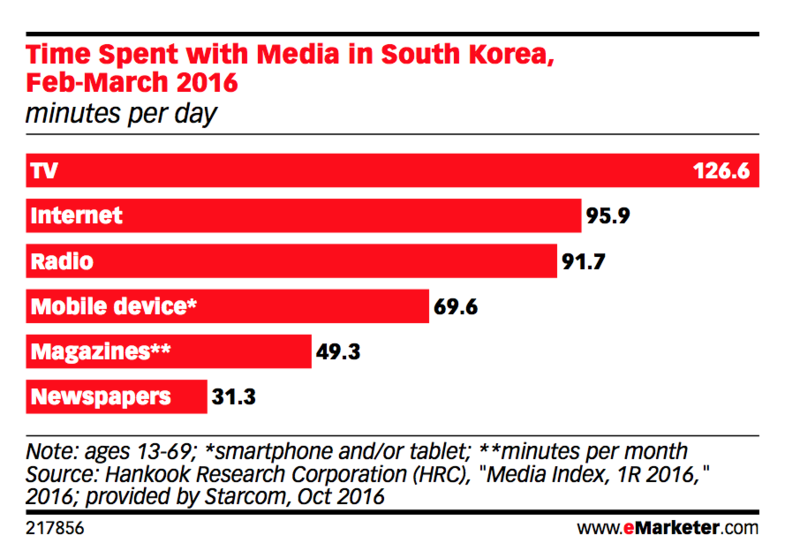 When you ride the subway there, the majority of ads you’ll see will likely be for mobile games — nearly all of the country’s population is centered around Seoul, making in-person marketing such as subway ads quite effective. 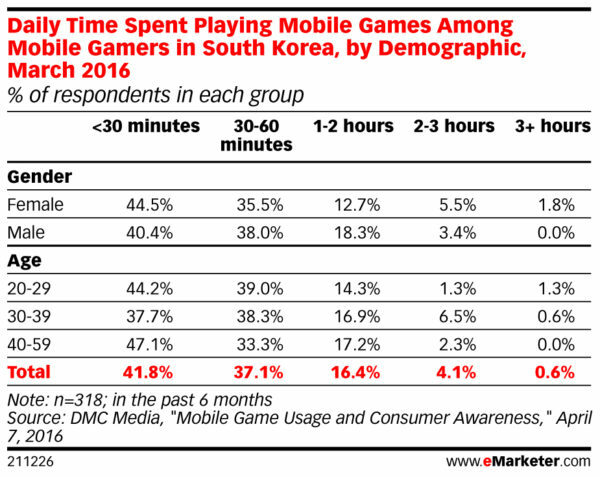 Timing for communications is also key for South Korean mobile gamers: local developers tend to send push notifications during commute hours or during the lunch break, and in-game sales often occur around payday (24th-26th of every month). 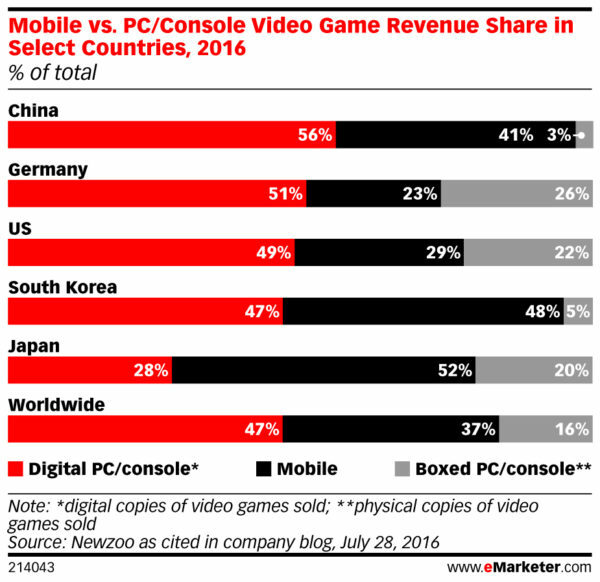 Also, developers have leveraged in-game subscriptions for awhile now, so players are accustomed to that monetization strategy. 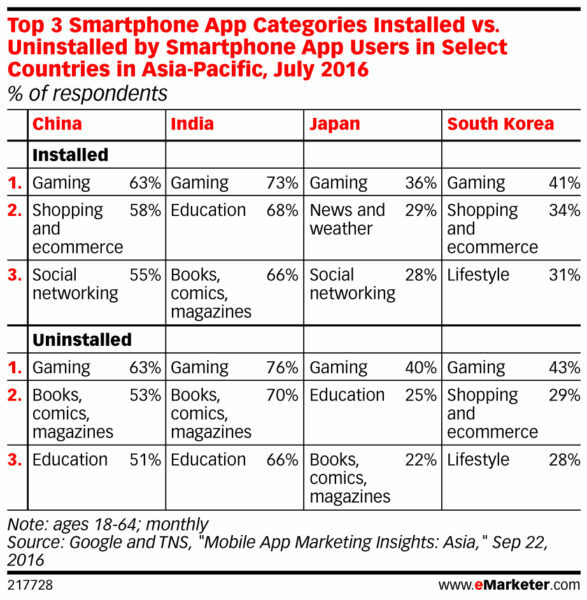 P.S: again, You could download the presentation via Google Drive here.